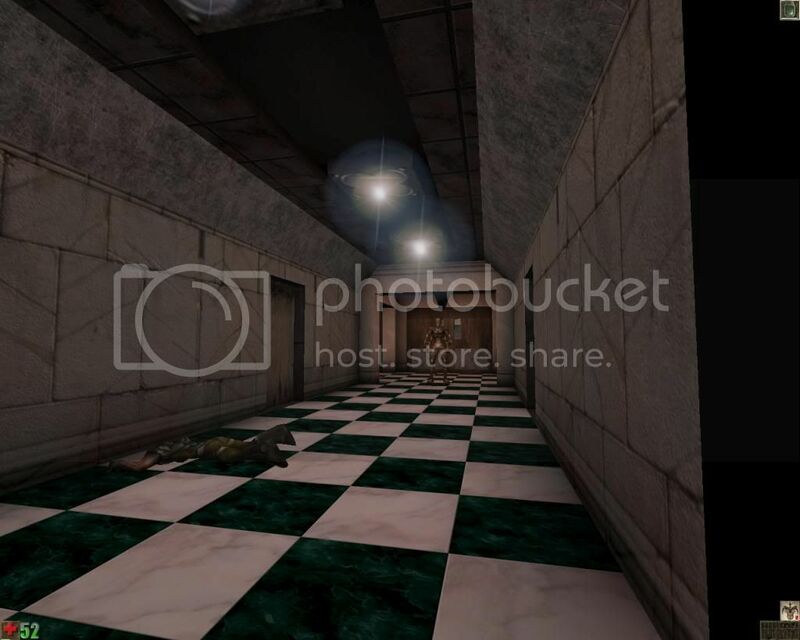 The Mental Asylum is one of the many maps that came out in the first year of Unreal, 1998. Released by Alex “HADES” Vancomerbeck, it was supposed to have sequels that were mostly about Skaarj and their destructive business. It would have been quite the thing for that time because Mental Asylum, story-wise, is set in an imaginary future happening right after the events of Unreal... not of Return to Na Pali (of course, the expansion pack came out approximately less than a year later). Here, main character Prisoner 849, while drifting in space in the escape pod, got caught by people, presumably other humans, and then taken into a mental asylum because nobody believed him about the existence of Skaarj and Nali. I’m pretty sure that by year 2251 of the Unreal universe the shock of meeting aliens isn’t anymore a big deal, so I’d like to go beyond the story and say that Prisoner 849 is inside a cell again because he’s too much of a security risk and the truth has to be censored; sounds more realistic and likely but I’m just nitpicking here so let’s move on. Right outside the prison cell. The level itself is worth of being titled The Mental Asylum, it makes you want to go to a real one because you’ll become incessantly frustrated by all the illogical ambushes and the complete lack of objectives and helpful hints. The Nali who frees you from the prison cell will quickly decide to teleport away, leaving you alone with no weapons and low health. As the map runs under the Vortex2 gametype, your inventory is empty, and the place is filled with Krall, Skaarj Warriors, Brutes and Pupae. You won’t get the Dispersion Pistol early but a Stinger, an Automag and some bullets that are practically worthless against the opposition because the ammo quickly runs out. This is the beginning of the problems with the gameplay of Mental Asylum. The objective in this map is not said directly but it’s clear you have to escape from the building as the monsters that Prisoner 849 met on Na Pali have invaded it because unknown reasons came into play. Navigating throughout the asylum is painful. Going in the wrong direction without proper equipment (which most of the time equals to nothing at all) will put you face to face with a Skaarj Warrior or Brute appearing exactly from nowhere, before you can ever react. It’s possible conserving ammo but you may be wasting them by shooting barrels that contain nothing or Pupae, or Krall that are put there to be ignored but instead you still kill them because you obviously foresee there will be items in the next areas because running out of ammo already doesn’t seem so normal. Unfortunately that’s not the case here. You need to retry and retry until you find a safe place with an acceptable amount of firepower. Everything is based on memory, “learn by dying” at its worst. Once you realize that few random enemies do actually drop items and weapons too, including the Dispersion Pistol, the map starts to become enjoyable. However pointless battles and Brutes that spawn from thin air will be of constant danger to your health and items to replenish it are sparse and are often guarded by enemies. It seems like the best idea is to usually sneak past the bad guys, as many of them have decreased sight radius and are clueless on the corridors they have to take on because the map doesn’t have pathnodes. It may have been an intentional decision by the author to make the enemies dumb at chasing people, but the trick doesn’t really work as Brutes corner you with their rockets and Skaarj Warriors outmatch your speed on running and idea brainstorming. The concept simply doesn’t work and the Unreal gameplay doesn’t do any miracle on its favour. As for the asylum itself, it has many dead ends that smell of traps, and almost all doors are locked. You find several levers on the walls that I have no idea what are their purposes, except the last ones that unlock the way to the exit. In the meantime you just check every door, hoping you’ll find inside something helpful like an item or a button. Be sure that there will be always an enemy bothering you at the same time, though. Once you’ve written down what paths to take, what’s not worth to shoot, which enemies need to be temporarily ignored and which ones drop item X, you can crush this map in a bunch of minutes. Takes of course tenfolds of deaths before doing so, unless you decide instead to play something more fun. The Rifle is a lifesaver if you find it, the Flak Cannon can be picked up when everything is pretty much over. The interior of the Asylum, prison cells aside, looks like a mix between a pub and a villa. Many of the chambers have personalities, ranging from living rooms to offices, but nothing terrific for your eyes unlike what the author promises in the readme. The build quality is actually good for a custom level from 1998, especially the exterior part of the building which you can explore. Some of the doors are also well-made. However, Unreal didn’t come with Earth-themed textures, and you can easily spot the problem here. There’s a mix of Nali Castle and SkyTown textures which seems to work for the most part, although from the outside you will mistake the asylum for a Nali monastery. The monk statues and Na Pali flags don’t help the situation at all. The worst thing is that almost all the textures are misaligned. You won’t notice it at first but once you do, you’ll discover that pretty much nothing is aligned. The map comes with two custom textures from Redneck Rampage that probably appear as the closest things that human people could build in real life. The lighting department would be perfectly average if it isn’t for the fact that many light sources are absent (or almost invisible) and if the lamp selection isn’t so out of place. On the other hand there are thunder flashes and an enormous orange fog to simulate an explosion of an aircraft crashing into the ground with no “boom” during an acceptable scripted sequence, which doesn’t add much to the story anyway. The skybox is fine, but there are areas where you can see its borders right in the face and it seems like somebody opened a red, flat hyperspace portal above the sky. Skaarj did it? It just looks wrong. Music is Newmca7. Almost half of the custom maps of that era had this song playing once you opened them. Really nothing to say about the choice, old maps were somewhat all dungeons of some sort and Dasa’s track is THE Unreal Dungeon theme. Use of sounds is basic at best. So many loud screams trying to make the place scarier. There are few parts of the map where you can get stuck if you don’t fly away, plus I found a moving BSP bug coming out of nowhere. I have already mentioned the complete lack of pathnodes causing the intense stupidity of the enemies that may either help or kill you and the irritating sudden ambushes, but there’s one major problem: you can’t end the map. Unfortunately the exit actor is placed right in a passage that only Pupae can pass through. Just to remind you again of the gameplay problems: you paid all that frustration for nothing. Survival-themed gameplay executed extremely poorly, learn-by-dying moments and technical problems kill the enjoyment from this otherwise well-built old, custom map. Last edited by UBerserker on 18 May 2013, 09:21, edited 5 times in total. Link isn't working for me. In my opinion The Mental Asylum is varied and imaginative and that's all what counts. Are we doing reviews in threads now? I hardly remember this one, but gameplay issues like the ones mentioned were common back in the day. Mappers were still not totally sure how to make levels and players were easily enamored with whatever was provided. This is why I can only smile politely at people who scratch their heads over my preference for old packs like One Day and single levels like Hexephet, which were also from that era. That they were as good as they were and still are is a testament. Mister_Prophet wrote: Are we doing reviews in threads now? sana is way too busy other than revamping the USP mainpage, so it has been decided to put reviews in the forums for now. I enjoyed this map a lot, despite its really basic build I think it conveyed this feeling of isolation and horror very well, it mixes a few ingredients, the dark gloomy lighting, the claustrophobic hallways, the many cells with "what the hell is going on inside there" and in the end you feel like you’re in a dark scary mental asylum. Personally i think the map takes a turn for the worse when you go outside, the plane crash sequence was... weird, then it's a huge bland area that loses all the atmosphere it built up inside. 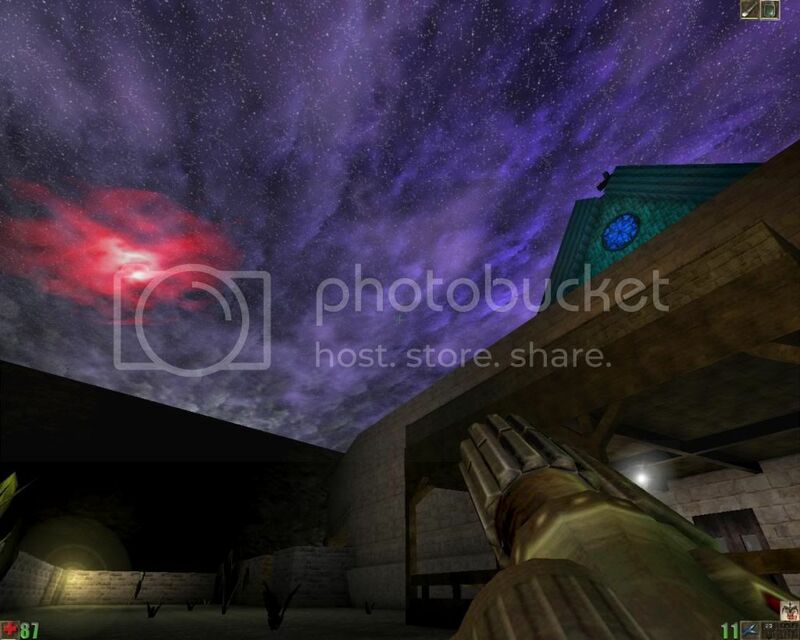 Specifically the place reminded me a lot of blood, with a bit of redneck rampage as well (due to the textures). 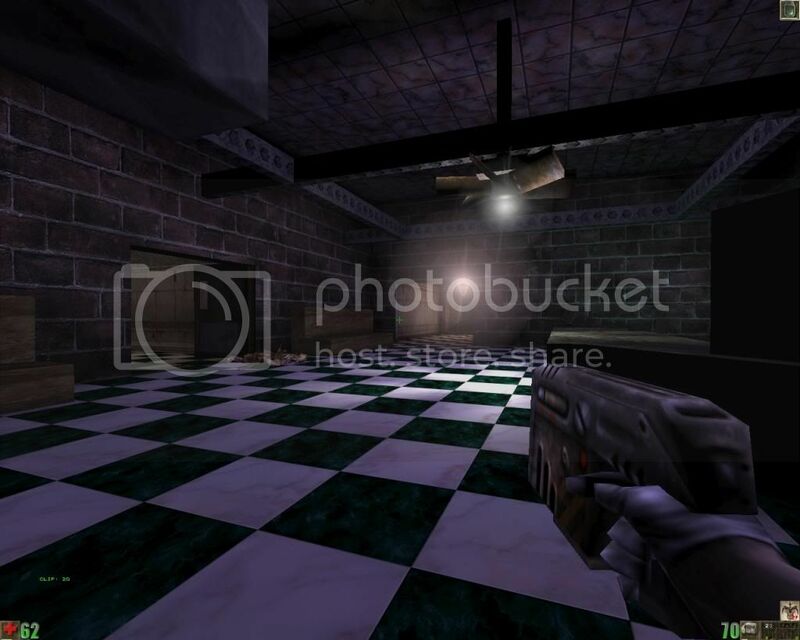 PS: I should mention that those mysterious levers mentioned in the review are actually for turning some lights and alarms on/off, quite pointless but I guess a good ode to those fps games (blood, duke, redneck rampage) where all that was possible. One Day is like... my favorite unreal map ever! was it even reviewed by the new scheme? Yet another mirror, UB. This'll be the main one, I suggest that you add it to the startpost as the first.